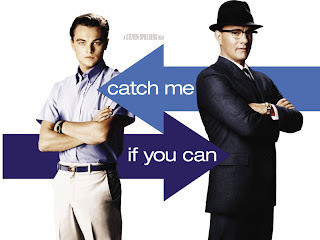 Yes Leo, you can catch me! haha I've been meaning to do this post for a while now, as it's a really amazing film! 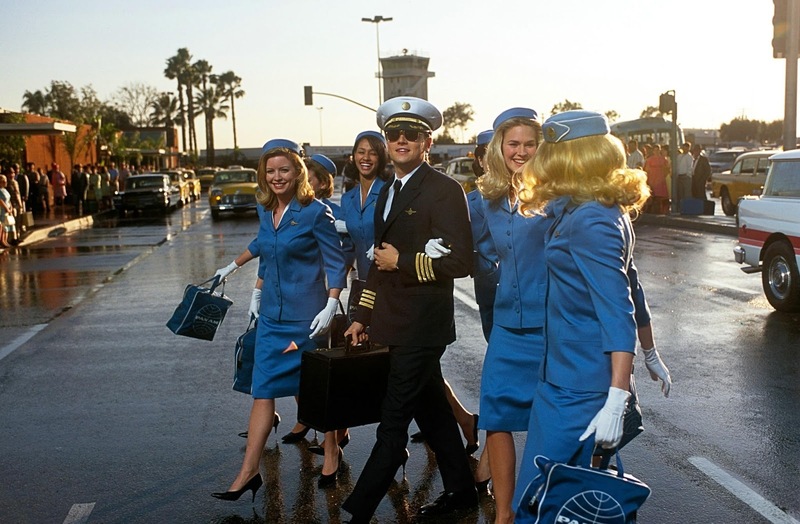 It's a little bit complicated to explain but it's based on a true story about a young man, Frank Abagnale Jr, and how he managed to con millions of dollars' worth of checks as a Pan Am pilot, doctor, and lawyer, all before he was 19. He runs away to New York, at a young age, after his parents separate and vows to pay back his father's debts and get his parents back together. He's being constantly chased by FBI agent, Carl Hanratty, after forging checks and, basically, stealing money. He is then caught in France and is tried and jailed for passing bad checks. Carl convinces the FBI to give Frank a job by detecting bank frauds and serves the remainder of his sentence in that job. 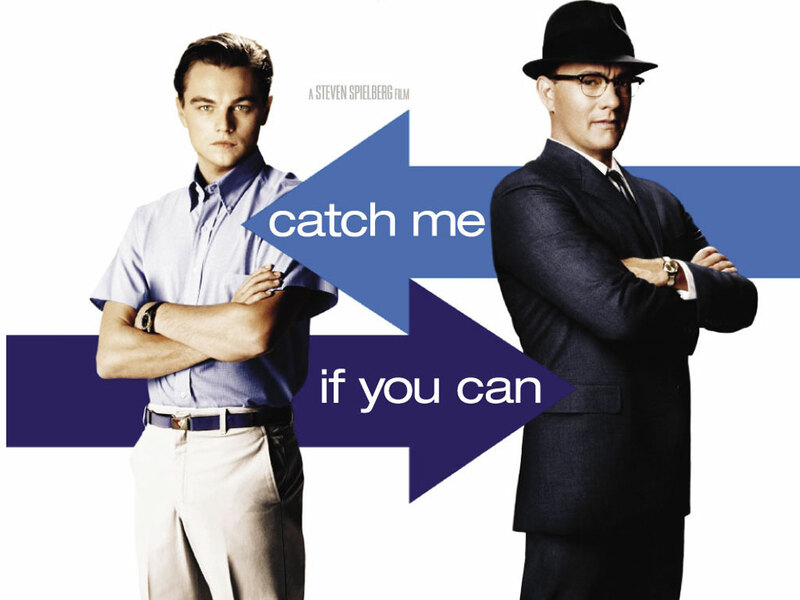 The film ends with Frank and Carl discussing the next case and the credits reveal that Frank has been happily married for 26 years, has three sons, lives in the Midwest, is still good friends with Carl, has caught some of the world's most famous money forgers, and earns millions of dollars each year because of his work creating unforgeable checks. It's one of the best films I have ever seen. I like films which you have to think about the plot and what's going to happen next. 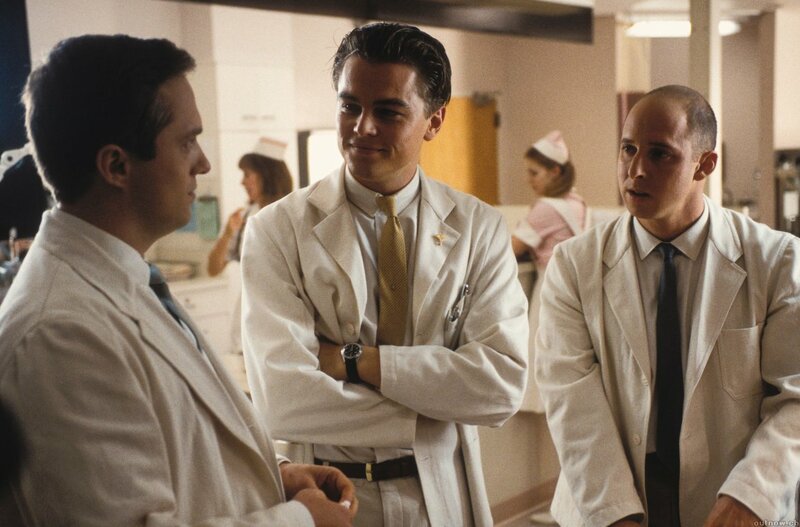 It is a very very clever plan and amazing that at my age he was on the run, posing as so many different characters. I'd probably liken this to Public Enemies, only better!